In late March I had the great pleasure of staying in a cottage on the edge of Joshua Tree National Park, California. Each day I hiked and explored with my family. Having never spent time in a desert before, the landscape was a totally new environment for me. What made it even more amazing was that we had arrived at the cusp of winter and spring. Everywhere I looked I could see new life bursting out of seemingly dead plants and shrubs. It was breathtaking to watch the full moon sink behind the snow caps of the San Bernadino mountains as the sun rose, blushing the mountains of the park. My ears soon tuned in to the noisy cactus wren that sang from the top of a telephone pole and the courting of white winged doves. Each morning I watched for the Anna’s humming bird that visited the new blooms of the manzanita tree. My son and I would visit the wash behind the cottage to examine the footprints in the sand–ground squirrel, jack rabbit, lizard. We learned the names of the many cacti in our yard as they came into flower. And chasing him up and over the huge golden granite boulders in the park, I felt like a little kid all over again. I came home renewed and not a little in love. 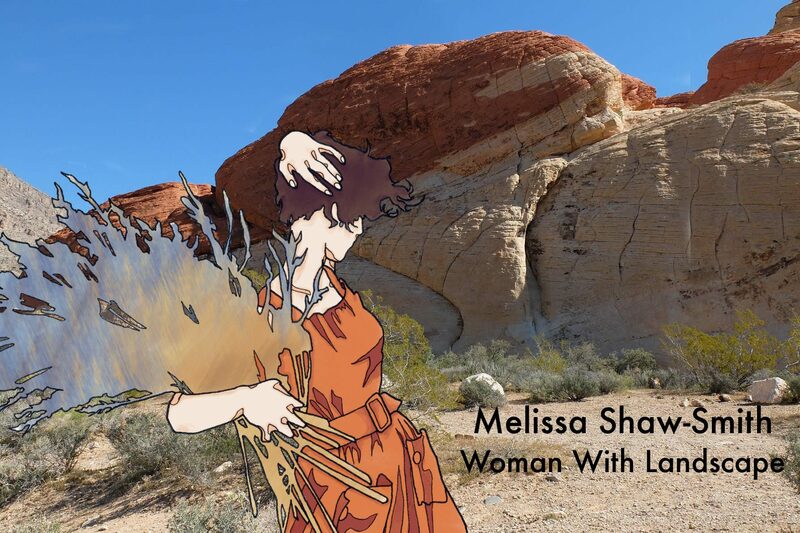 This entry was posted in Photography, Travel, Woman With Landscape, Writer's world and tagged Joshua Tree, nature, photography, spring, travel, writing on May 6, 2016 by Melissa Shaw-Smith. I’ve long loved Joshua trees – lived in the Mojave desert for nearly a year when I was a child. Nothing is more beautiful than a flowering desert! Thanks for commenting, Robert. The extraordinary resilience of the plants and animals blew me away. Beauty at every turn! I’m glad I don’t live in the desert, but it certainly is beautiful to visit. Hope to go back and camp there sometime. The camping sites are amazing! Thanks for reading, Karina. Thanks, Curt. Yes, something very special about that place. I even had to check out the Integratron – quite a vibe! Amazing!!! What a beautiful and reviving trip! Thanks, Angie. This country never ceases to amaze me with its many beautiful faces. Thanks, Bernice. What a great vacation! That sounds like a lovely vacation–a real break from routine. And the photos are amazing! You should publish a book of them. Kind of you to say so, Adele. I get very snappy happy around nature. I’m glad you had the opportunity to visit my country, the Great Basin desert. It is a place of distinct, undeniable beauty, which you captured so well. I hope I get to read a poem or two about your experience as it ripens with memory. Perhaps sometime I’ll visit beautiful Ireland and the British Isles, the land of my forebears. Roger, so glad to get to know your neck of the woods. I’m not a little envious. And yes, I hope some day you get to the other side of the Atlantic and fall a little in love. It is amazing how much life there is in a desert Melissa! Thaks for sharing some of the beauty there. It was a wonderful time of refreshment for you and the family, and that is the beautiful renewing gift enjoying the nature and world around us brings as we explore and appreciate it. I did indeed feel very lucky to share the desert experience with my 8 year old son. My deserts are slightly different than the Mojave but so many familiar (reptilian, succulent) faces! It’s a gift that only few seem to appreciate; I’m so glad you and your son were able to experience it together. Thanks, Sunshine. It wasn’t hard to love it – it was so full of life. Hope that’s not your last visit to a desert Melissa! I have a feeling it will be the first of many. Thanks for reading, Michael.